Earn 620 loyalty points when you order this item. 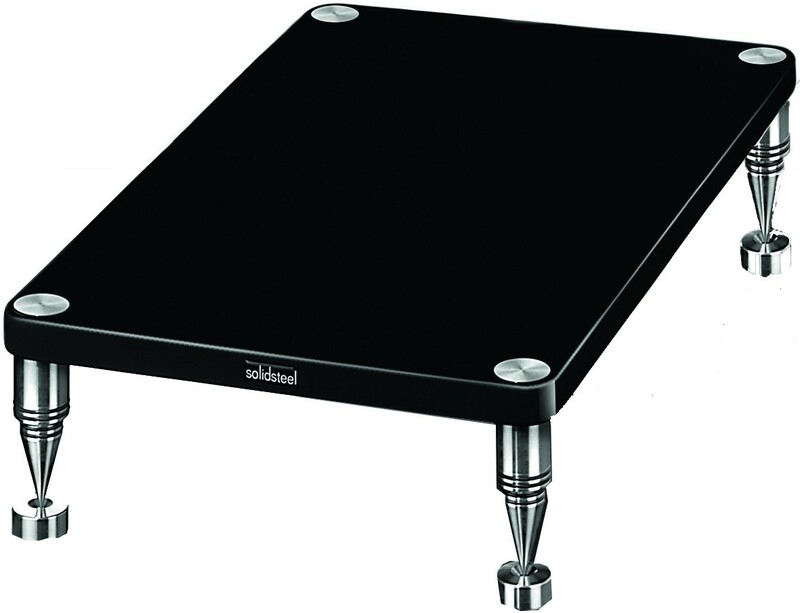 Solidsteel HF-B Power Amplifier Monoblok Stand features a four pillar design and is geometrically positioned to give maximum support and minimum physical contact with the surrounding environment. The rack stems are made of high quality solid steel rods, polished by a state of the art process giving a smooth and shimmering finish. In order to provide the necessary modular structure, the frames comprise a central segment of variable length to meet diverse requirements, to which are attached the other elements that make up the rest of the support mechanism. Adding to the technical composition are securing screws, insulating spikes (very strong, beautifully secured, adjustable, strong locking withla clamping screw) and decoupling pads, also made of solid steel. Amongst the elements to be assembled are rubber o-rings, similar to a piston ring with the purpose of improving the fit while reducing the transmission of mechanical energy. This is the traditional Hyperspike Vibration Free System, designed by Solidsteel. The shelves dimensions are actually the largest produced in our range of products for vertical racks. 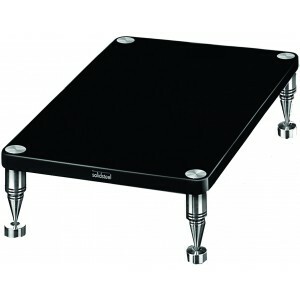 It is available both in flat black, glossy black and in glossy white finish. Each shelf have a weight sustainability of tested 80 Kg (176 lb).